The vampire Barbie borrows more than a little inspiration from the popular Twilight series of books and movies. Twilight (if you have been ensconced beneath a rock) centers around the teenage angst of a young lady, Bella, and her supernatural boyfriends, a werewolf and a vampire. 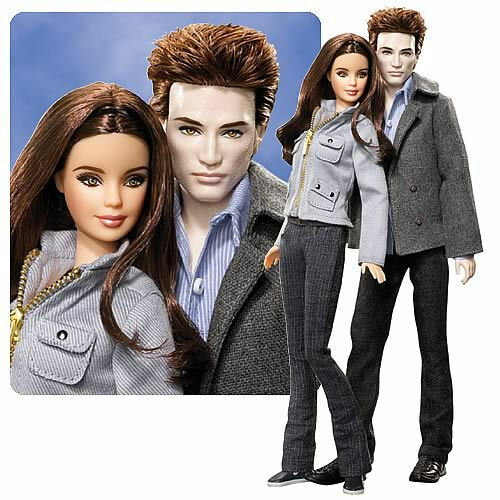 Vampires and the supernatural are extremely high on the radar of young girls and their mothers alike and so these toys should be a surefire hit for Christmas 2010. Accompanying Bloodsucking Barbie to the Halloween release party is her long term boyfriend "LyKen" the wolfman.